While exploring the ruins of an old castle, Mordekai and his sister Monique accidentally destroy an old tower only to find themselves in a different place, or time, entirely–with a mysterious princess on their hands who thinks ever noble’s name must begin with an “M,” among other absurd things. Mordekai isn’t about to admit to his real name, so he tells her to call him Sir Kai. Then, suddenly, a giant goat crashes through the wall and carries him off. Monique opened the door at the end of the hallway to find a gaping hole in the wall, displaying a wide view of the glow of a breathtaking sunset. Noting that she should take a picture before she left, she turned to survey the lone inhabitant: a young woman dressed in a long woolish looking gown and cloak. She smiled. Probably somewhere exploring. She lifted her sizeable camera and snapped a shot of the sunset, the forest tops piercing the sky like organic skyscrapers. It was too pure, too broad an expanse of virgin forest for anything in modern times. No one’s going to believe I didn’t photoshop this. “At least tell me how we’re going to get Mordekai back,” Monique said, hurrying after Mural. She opened her mouth and then shut it. What’d this girl do, swallow a book of proverbs? 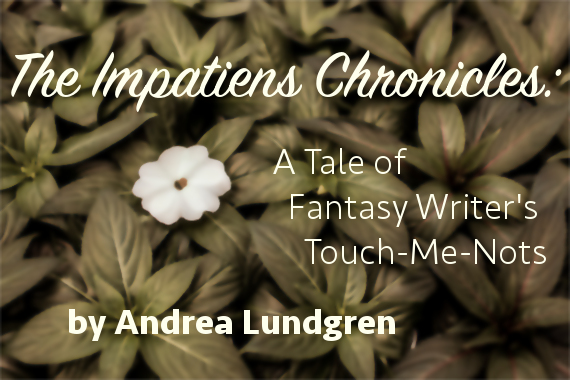 Monique could only hope that the dangers of a fantasy world, or the past, or wherever it was there were, would not be too permanent. If we die, do we get kicked out of here, like some video games? Would we just return to our own time, or…would it be the end? One thing that doesn’t occur much in fantasy (or any genre other than romance, really) are moments of happiness. Times when nothing really vital happens and we see how the characters think and feel and interact, without the pressure of danger or the breathlessness of time running out. But in this story, we started with just such a moment, where Monique and Mordekai were visiting the castle ruins in their world/time, so it’s appropriate that we feature another moment here. Monique thinks her brother is fine, so she takes some time to survey her surroundings, and even Mural pauses to savor the new-found knowledge of Mordekai’s full name. It isn’t all rush-rush-rush, which fits the pacing. And even if you’re writing a more action-filled fantasy, moments of peace and happiness can be useful. They give the readers a breather and help remind them of why the mission or quest is important. The scene in The Lord of the Rings where Frodo and company have their baths has long stuck in my mind as one of the best, most enjoyable scenes in the book. It captures the hobbit’s joy of living and simple pleasures, and it represents all the things the Ringbearers and other evil characters are trying to destroy. Without it, we might rush from danger to danger and never remember why the Hobbits’ fight is so important (as we do in the movie…all hurry and no savoring, so that Rivendell is forced to be the reminder of all things pure and worth saving). this reminds me of Shakespeare. how he always has a ‘comic relief’ scene after a particularly intense scene. interesting observation on LOTR. i was trying to find a reason to like the book over the movie. looks like a re-read is in order.